High-throughput genomic sequencing and the identification of molecular drivers of cancer are the basis for the multitude of molecularly targeted therapies that we have today. This approach has also led to the understanding that seemingly unrelated cancers, regardless of where they arise, share common genetic threads—molecularly targetable abnormalities—that fuel the disease. This new concept of treating cancers based on the molecular changes rather than the site of tumor origin, or tissue-agnostic treatment, is a promising development, as witnessed by progress from several research laboratories and pharmaceutical companies in this direction. 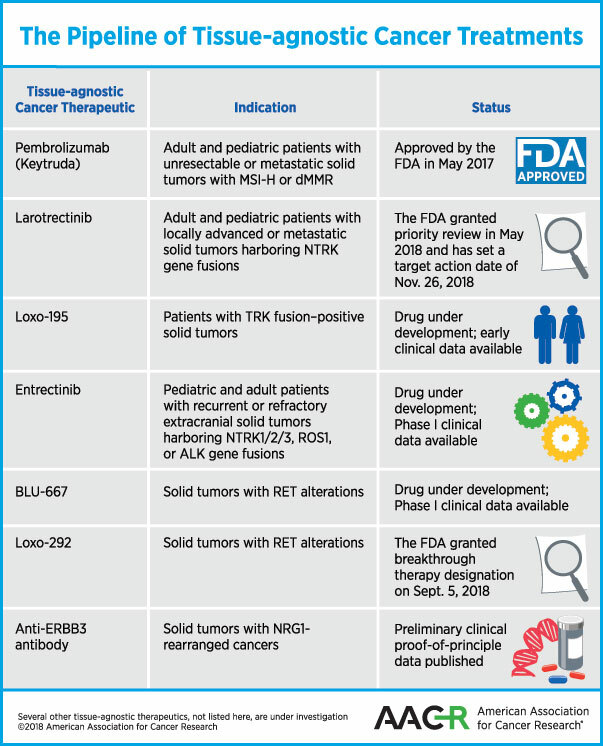 In May 2017, the FDA approved the immune checkpoint inhibitor pembrolizumab (Keytruda) to treat patients whose tumors have certain biomarkers irrespective of where in the body the tumor originated. The treatment is specifically for adults and children who have unresectable or metastatic solid tumors that are microsatellite instability–high (MSI-H) or DNA mismatch repair–deficient (dMMR). This approval stems from the fact that improperly repaired DNA leads to accumulation of mutations; tumors with a high mutational burden are more likely to respond to immune checkpoint inhibitors, because such tumors stimulate the immune system. 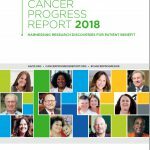 A study published in The New England Journal of Medicine showed that patients with MSI-H or dMMR colorectal cancer, which make these tumors harbor a high mutational load, had better clinical response to PD-1 blockade by pembrolizumab than those whose colorectal cancers did not have mismatch-repair deficiencies. Subsequent demonstration of other tumor types with MSI-H or dMMR, including endometrial cancer, gastric cancer, pancreatic cancer, and biliary cancer responding to pembrolizumab in five clinical trials led to its status as a tissue-agnostic treatment. Other immune checkpoint inhibitors with demonstrated efficacy in varied cancers with MSI-H or dMMR may follow suit soon. Another therapeutic that is potentially close to being approved as a tissue-agnostic therapy for cancer is larotrectinib. As discussed previously on this blog, larotrectinib is an inhibitor of the receptor tyrosine kinases TRKA, TRKB, and TRKC. Chromosomal rearrangements in the genes NTRK1, NTRK2, or NTRK3 that code for these kinases produce fusion proteins in a variety of adult and pediatric malignancies. Data from an adult phase I clinical trial presented at the AACR Annual Meeting 2016, and data from a pediatric phase I/II trial and a phase II basket trial called NAVIGATE presented at the American Society of Clinical Oncology (ASCO) annual meeting in 2017, and in papers in the AACR’s journal Cancer Discovery, The New England Journal of Medicine, and The Lancet Oncology demonstrate that larotrectinib treatment yielded promising results in patients with 12 different cancer types with NTRK fusions, including salivary gland tumor, sarcoma, infantile fibrosarcoma, lung, thyroid, colon, and melanoma. In May 2018, the FDA granted Priority Review for the treatment of adult and pediatric patients with locally advanced or metastatic solid tumors harboring an NTRK gene fusion with larotrectinib, and has set a target action date of Nov. 26, 2018, under the Prescription Drug User Fee Act. The company that makes larotrectinib is now testing a next-generation selective TRK kinase inhibitor, Loxo-195. In a paper published in Cancer Discovery, the authors explain that while larotrectinib yields durable responses against a variety of cancer types, resistance to the drug may limit the duration of response. The authors demonstrated in this paper that Loxo-195 could overcome acquired resistance mediated by certain point mutations identified in patients who developed resistance to larotrectinib. Entrectinib (RXDX-101) is a TRKA/B/C, and ROS1 and ALK tyrosine kinase inhibitor that can cross the blood-brain barrier, and is therefore expected to be effective against brain metastasis of primary solid tumors harboring these gene fusions. In a phase I clinical trial, entrectinib was tested in children, adolescents, and young adults with recurrent or refractory extracranial solid tumors (NSCLC, colorectal cancer, salivary gland cancer, and a primary brain tumor) harboring NTRK1/2/3, ROS1, or ALK gene fusions. Data from two phase I clinical trials, ALKA-372-001 and STARTRK-1, were published in Cancer Discovery in 2017, demonstrating responses in patients with a variety of solid tumors that lasted for more than two years in some. Entrectinib is being tested in a phase II basket study, STARTRK-2, in patients with 16 different cancer types. Clinical trial data presented at the AACR Annual Meeting 2018, and preliminary research published in Cancer Discovery demonstrated that BLU-667, a next-generation inhibitor that selectively targets the oncogenic receptor tyrosine kinase rearranged during transfection (RET), was well tolerated and had broad clinical benefit in patients with advanced cancer that had progressed on previous therapies, including multikinase inhibitor therapy. RET alterations are common in medullary thyroid cancer, but also found in several other cancers, including papillary thyroid cancer and non-small cell lung cancer (NSCLC). In a phase I clinical trial, BLU-667 demonstrated antitumor activity with a best overall response rate of 37 percent in the 30 patients with RET alterations. Patients with NSCLC and medullary thyroid cancer had a best overall response rate of 45 and 32 percent, respectively. According to data from a phase I clinical trial presented at the ASCO annual meeting in 2018, Loxo-292, another selective inhibitor of RET, has shown promising activity against RET fusion–positive NSCLC, thyroid cancer, and pancreatic cancer, among others. The overall response rate was 77 percent in all evaluable patients, 77 percent in evaluable patients with NSCLC, and 78 percent in patients with other cancers. 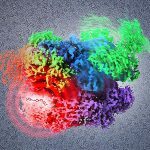 On Sept. 5, FDA granted Loxo-292 Breakthrough Therapy designation for the treatment of patients with metastatic RET fusion–positive NSCLC who require systemic therapy and have progressed following platinum-based chemotherapy and an anti–PD-1 or anti–PDL1 therapy; and for the treatment of patients with RET-mutant medullary thyroid cancer who require systemic therapy, have progressed following prior treatment, and have no acceptable alternative treatment options. As discussed on this blog, RET-altered cancers are mostly treated with multikinase inhibitors and chemotherapy, which are nonspecific and have off-target toxicity. Progress with selective inhibitors of RET, therefore, could fulfill this unmet need. The gene neuregulin 1 (NRG1) encodes a membrane glycoprotein that mediates cell-to-cell signaling and plays a critical role in the growth and development of multiple organ systems. NRG1 fusions are largely found in invasive mucinous adenocarcinomas of the lung; however, in a study published in Cancer Discovery recently, researchers identified NRG1 rearrangements through large-scale genomic profiling across various solid tumors, including pancreatic adenocarcinoma and breast carcinoma. Early, clinical proof-of-principle data provided by the study shows that targeting ERBB3 in NRG1-rearranged cancers is a novel therapeutic paradigm. The EGF-like domain of NRG1 and other isoforms it encodes serves as the ligand of the receptor ERBB3. When NRG1 binds to ERBB3, it results in the heterodimerization of the ERBB3 with ERBB2 and the activation of PI3K–AKT and MAPK pathways, leading to increased tumor cell proliferation and growth. Although preclinical and clinical data suggest targeting ERBB2 (HER2/neu) in cancers with NRG1 fusions, the researchers demonstrated that in patients with NRG1-rearranged invasive mucinous adenocarcinoma, inhibiting ERBB3 using GSK2849330 was more effective than inhibiting ERBB2 using afatinib. Further analysis of large datasets from The Cancer Genome Atlas and MSK-IMPACT revealed NRG1 rearrangements with novel fusion partners in a variety of cancers, including breast, head and neck, renal, lung, ovarian, pancreatic, prostate, and uterine cancers. The authors argue that these data support a basket trial to develop drugs for this genomic subset. They note that establishing in clinical studies that NRG1 fusion-cancers are amenable to targeted therapy regardless of histology would make a case for the development of tumor-agnostic treatments with ERBB3 inhibition. A study published in Cancer Discovery this month provides further proof that KRAS wild-type pancreatic ductal adenocarcinoma harbors NRG1 rearrangements, with two patients responding to ERBB inhibition. Currently, many other tissue-agnostic cancer treatment approaches are being developed and tested. There are several cancers for which the site of origin matters and many cancers will continue to be treated based on their location in the body in the foreseeable future. However, innovative treatment approaches guided by advanced technologies are invaluable because in addition to meeting unmet needs, they are our best bet to increase treatment options, lower toxic side effects, and ultimately improve outcomes and quality of life for cancer patients.